"It's how I got out of the village. I used the sand around this area to recreated another, almost perfect wall. It had hardened over the years, so I had to punch through it. Not even my father, the Kazekage, knows about this passage way." He chuckled. "So come on, there shouldn't be anyone in here." Pere froze. "...A new Kazekage?" He sounded like he didn't believe Shay. "If that is true... What happened to the old one?" He turned his head slightly so that he could just see Shay out of the corner of his left eye. His eye seemed cold, really cold. Like he was frozen on the inside as well. He was silent, eerily silent. His head lowered until his hood completely covered his eyes. All of a sudden, he turned and left, drawing one of his two swords. He was holding the sword in an odd way and the sand kept trying to make him drop his sword. Each time sand from the desert rose up and grabbed his hand, he simply wrenched it away from the offending source. Inside of his mind, Pere was torturing himself with his thoughts. "It's all my fault..." "If I had been stronger..." "If I hadn't left..." "THEY'D ALL BE ALIVE!" On that last thought, he tried to stab through his stomach with his drawn dual sword. The sand thwarted his attempt however, catching the sword and knocking it out of his hand. It had also wrapped around his other sword so that he couldn't draw it. He abruptly turned to Shay. One eye had already turned to the Shukaku's and sand had started to form over his face. "Kill me." He stated simply, as if it were the easiest thing in the world. "Kill me, and I don't care if you collect the bounty or not. Just make sure I'm dead. I won't stop you." Shay looked at him and let Nix do this cause he couldnt Shay looked at him and is mouth opened "dont do this to yourself" he slaps Pere "Wake up Gaara didnt get killed he died naturally and by the same fact I understand what you feel okay my whole familly is dead the only left are threators and I live with it so I know I am not in a position to put you in your place but IT ISNT YOUR FAULT okay I wasnt abble to stop Itachi as you couldnt stop the one who killed your relatives okay dont let Shukaku do this this this isnt you wake up"
"You weren't there when your family was killed." He hissed. Then he turned, starting to walk again. "Fine then. I'll let Obito kill me." He took off his other dual sword, dropping it in the sand. That would be extremely surprising to anyone who knew him. He treasured his swords, as they were the last gift he got from his brother and sister. Now he was leaving them in the sand. Shay took the swords and attached them on his back trowing a kunai at Pere "Well then I prefer doing it myself" he jumped infront of Pere an took his wip wrapping it around Pere neck "You are sure you want me to do this?" "Yeah. I won't attack, but the sand will defend." He replied as the sand caught the kunai and forced the whip off of his neck. "I can't help that my sand defends automatically." He grimaced. "I don't even care if it's a quick death. I barely even feel pain anymore." He growled lowly to himself. "Kid... Killing me in a desert won't be as easy as anywhere else. Not only does my sand protect me, but the desert's sand protects me as well. You'll have to try harder..." He sighed, watching as the sand from his surrounding blocked each of Shay's attacks. "If you don't want to kill me, then I can go walk into one of the villages that hate my guts." Shay looked at Pere and sighed "Okay then lets walk into a village that hates both of us if I have no one that I understand and that understand me then my life doesnt worth it either and for my familly or friends it wont pain anyone if I die so lets walk in Konoha and get our asses kicked if you really want that"
"No offense, but your village is weak." He spat. "I personally, hate your village. They did nothing to help eight years ago." He seemed to be calming down, as the sand that had been covering his face started to dissolve, and his eye began to lighten back to its normal white with a green iris. "What... The hell?! Your father is OBITO?!" Pere seemed really pissed now, which made the sand around them rise to create a large ridge around them. Either that, or they were sinking. "Those swords, give them to me before I rip your head off with my bare hands." He caught the swords easily, hanging them back at his waist. He glared at Shay, having stopped hiding his chakra now. It was monstrous, and a black mass seemed to take the partial form of a demon around him. The rest of the chakra streaming from him was a dark purple, and carried along with it an incredibly strong bloodlust. The desert around them seemed to grow incredibly cold all of a sudden. It was enough to make any Genin, and even Chuunin freeze in their tracks. He'd even seen Genin simply faint, or even kill themselves from this. "I don't hate you. 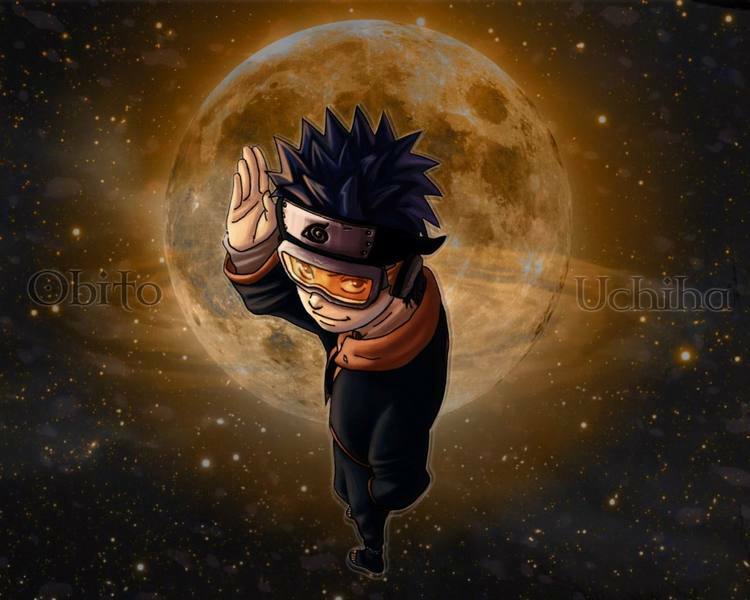 I'm just pissed off that Obito would threaten his own son like he is." He growled lowly. "If I had wanted you dead, your head would be rolling right now, Shay." He didn't growl this, rather, he stated it. He glared at the ANBU that had sensed his chakra and come to try to kill him. As the ANBU neared him, he looked at Shay. "Run." Was all he said before dashing off at a quick speed, easily puting distance between himself and the ANBU. Pere looked back at Shay, to make sure he was following. He also hid his chakra and created a sand wall between them and the ANBU.